As we reported in our last edition of Wildcry, on the 23rd December 2017 six Javan gibbons arrived at our Primate Rescue Centre in Java after travelling from Howletts where they had been cared for since birth. 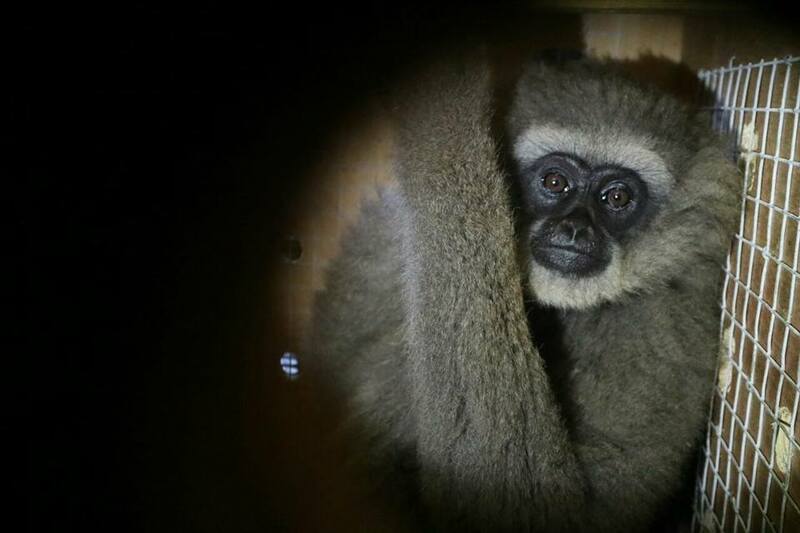 Since their arrival the gibbons have undergone a period of adjustment to allow them to settle into their new environment prior to release back to the wild. Sadly Hirup, an eight year old male, became ill some seven months after arrival in Java, and, despite expert care, he died in July this year. This was hard news for all the team in Java and back here in the UK, but sometimes illness and loss of life is an unavoidable aspect of working to conserve and protect wild animals. The remaining five continue to do well and are well advanced in the process for the final release back to the wild. In fact Pathua, a five year old male, has already made that transition. 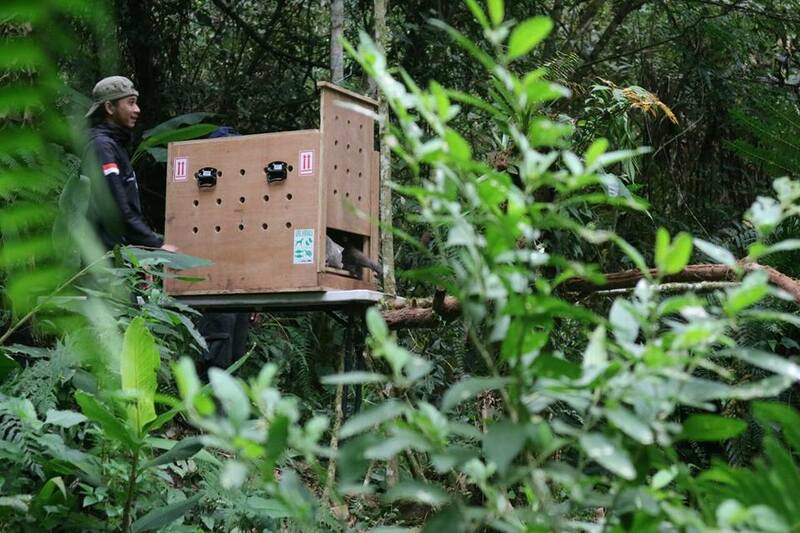 At the beginning of August this year, he was released into protected forest at Mt Tilu, Dewata in West Java. In total he spent 8 months acclimatising prior to the release, the first 30 days of which was a quarantine period when the group first arrived in the country. It is early days for this young male, but since his release he has been observed on a number of occasions by our team in Java. So far he has remained close to the release site, but we hope it won’t be too long before he finds a wild female to bond with and, in time, he will father a new generation. It is an amazing and joyful moment when any animal can be released back to its natural environment, but sadly our team in Java are still rescuing a significant number of primates each year. Often they are just babies, particularly as there are still people willing to kill adults to take the youngsters for the illegal pet trade. Traumatised wild animals are often very difficult to save, particularly when very young. Often babies are fed poor quality and inappropriate diets, meaning their physical development can be compromised as well as their mental well-being. It is thanks to the dedication of people like our team in Java that as many as possible can be saved. In future editions of Wildcry we hope to bring you more details about some of the orphans at the Primate Rescue Centre, and share their stories with you.